6 weeks sure does fly by! 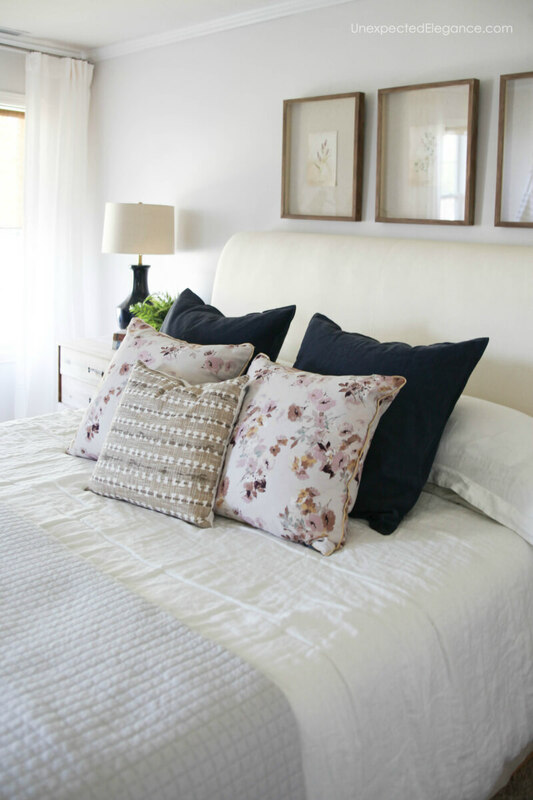 I am so happy to share my finished master bedroom with you for the One Room Challenge. 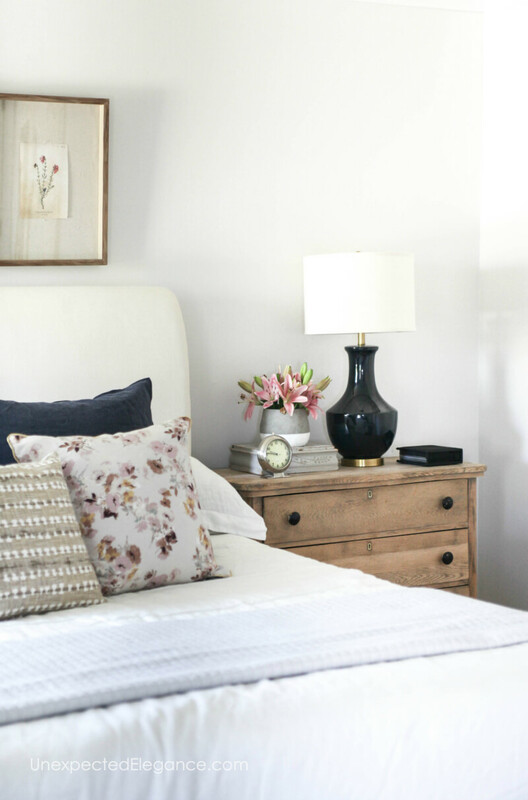 Our room was very dark before I started this makeover and I wanted it to be bright and serene. I chose to have a more minimalist approach to the design and keep things simple. There isn’t much on the walls and I even got rid of the massive dresser. (More surfaces tend to mean more places to throw junk! ) . Like I said, I wanted it to feel open and clutter-free. Our master bedroom is pretty big but the layout we had before didn’t have the best flow, there was a lot of wasted space. The new floor plan works a lot better. 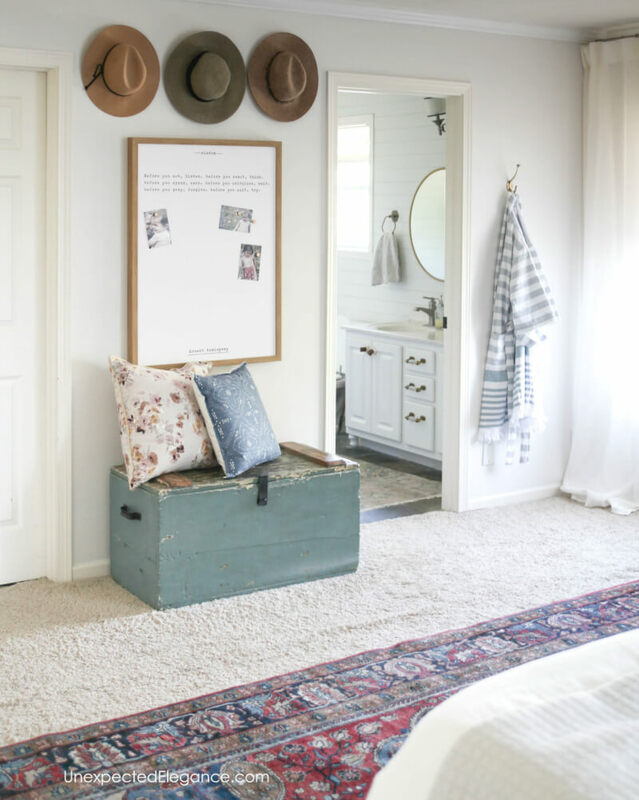 The rug was the starting point for the room design. 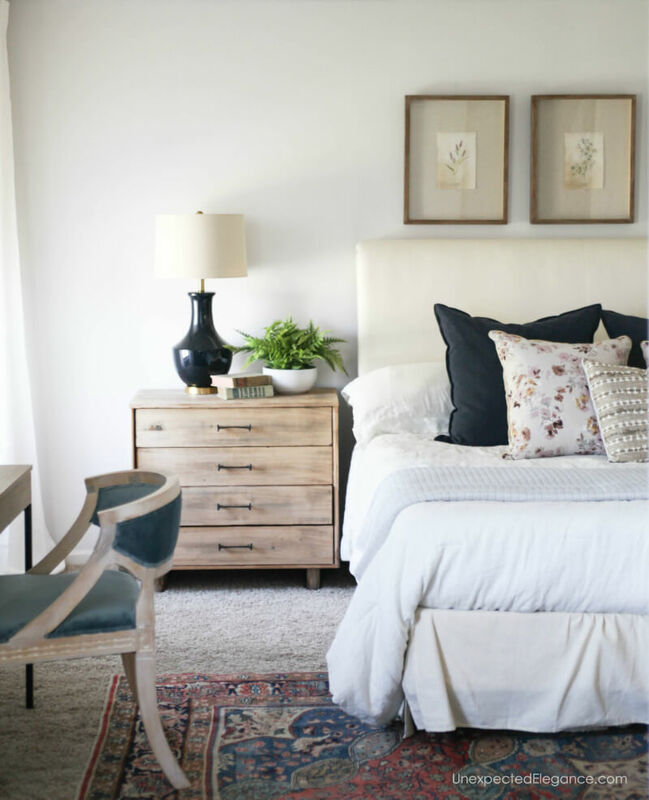 I knew I wanted the walls and bedding to stay light and neutral, so I decided to bring in color with the rug. I decided on this handmade rug from Ecarpetgallery.com. 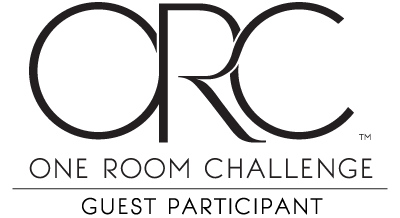 They are my favorite rug resource and I have bought quite a few from their site. I got the rug my Dining Room Makeover a few years ago from them and have LOVED their options and quality. They are offering my readers a 20% discount if you use this link or coupon code: ECGANGELBLOG. 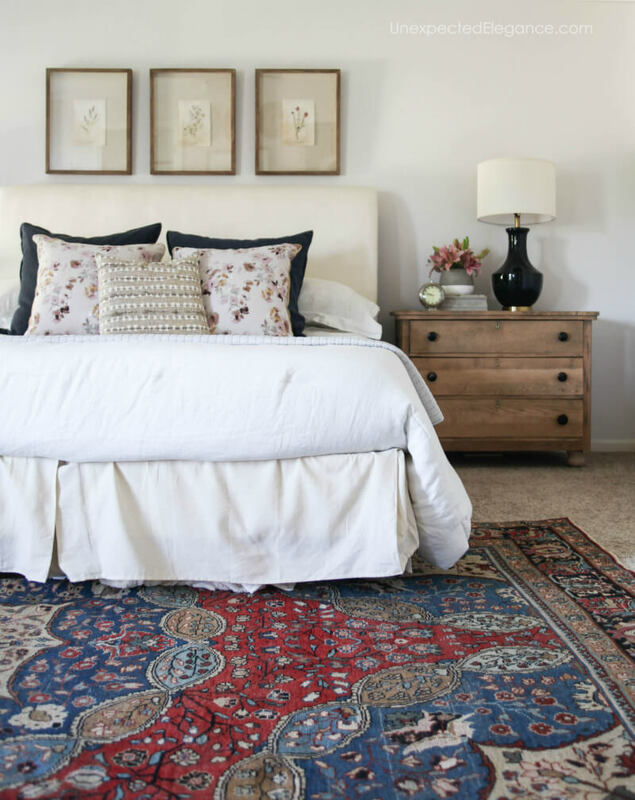 Seriously, their prices can not beat for their hand-knotted rugs!! I wanted to add a makeup table and place to work during the summer. My office is downstairs and it can be a little difficult to work when everyone is out of school. 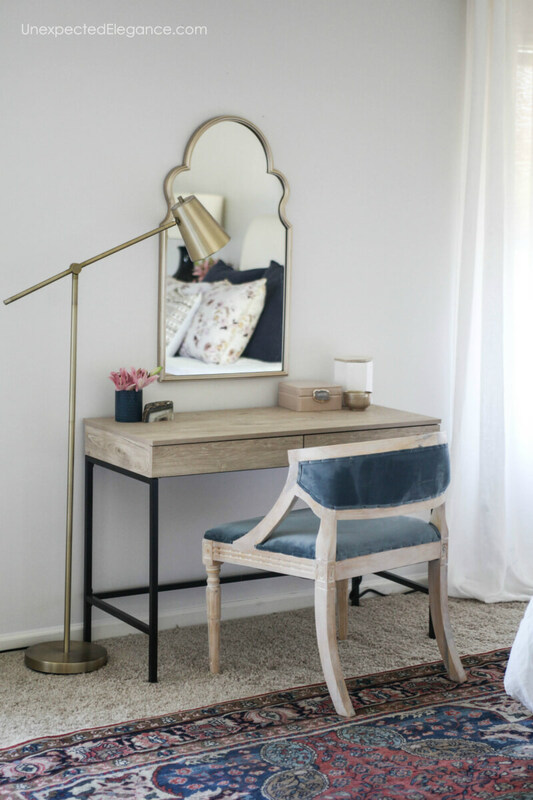 I found this desk from Target and it’s the perfect size and scale for the room. 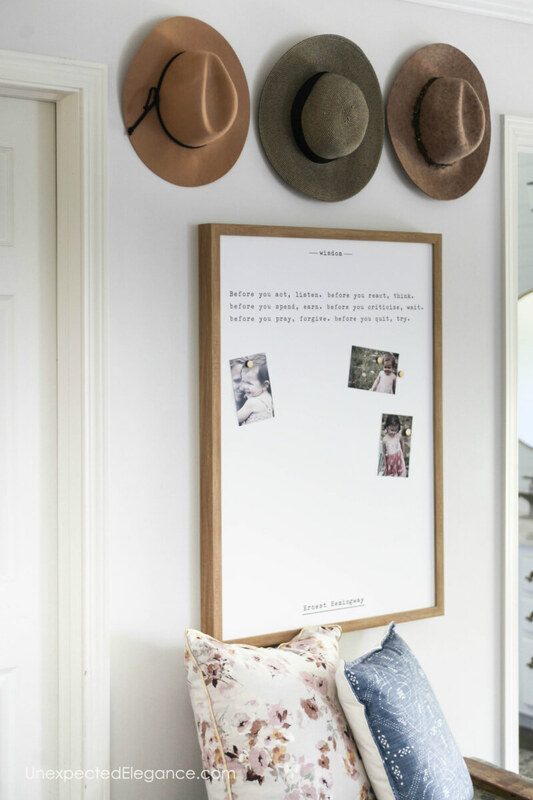 I love quote-art and found this simple magnetic board from PetalLane.com. I like that I can either add photos to it or use it as stand-alone art. I also used one of their magnetic boards in my office and get compliments on it all the time! I had surgery a couple of days ago and have been spending a lot of time in bed recovering, so this makeover couldn’t have come at a better time! 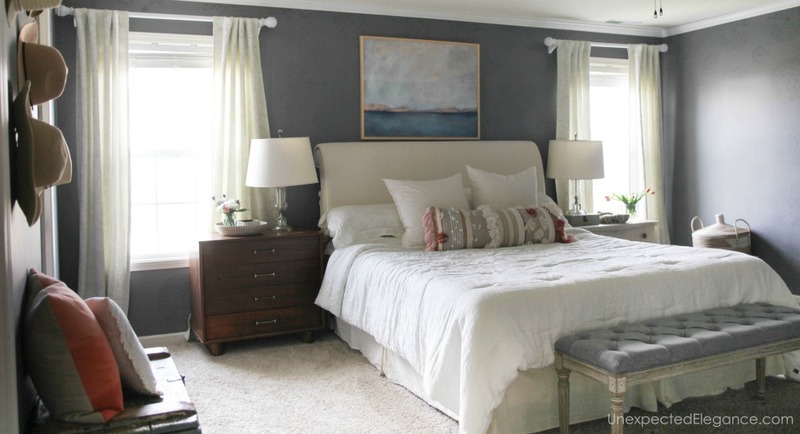 Be sure to check out all the other amazing room makeovers HERE. I love your space! So bright and relaxing. Thank you so much! That’s exactly the feel I was going for! Looks nice! Hoping for a quick recovery for you. Thank you!! I am feeling much better and back to work! Thank you! I just followed you! Thank you!! Yes, I love that I can add pictures to it! I like the before but this after is so serene and peaceful. I like the new orientation of the room too. Hope your recovery is much comfortable in your new room! Jennifer, thank you!! 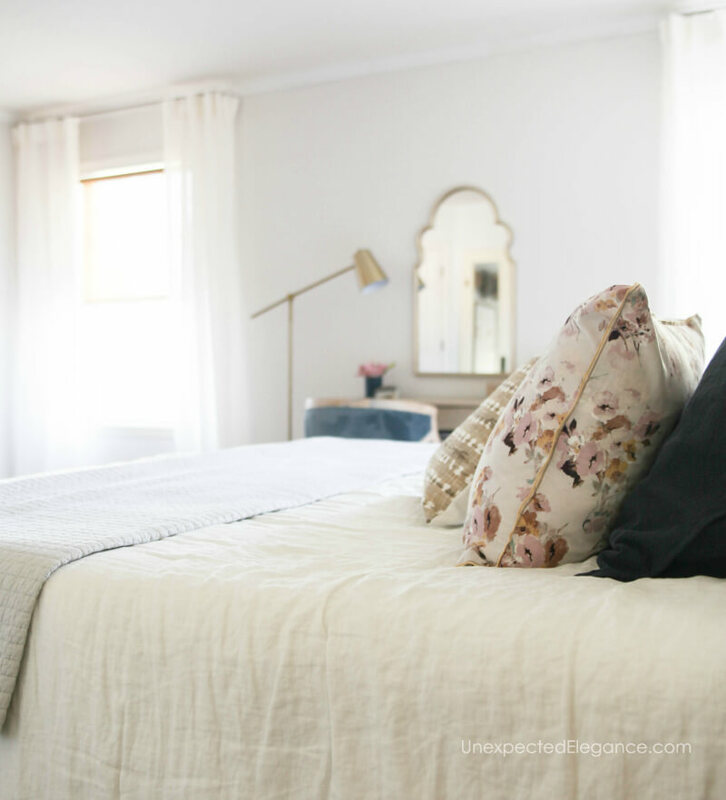 Your bedroom turned out beautiful, too!! I like your less is better philosophy. I also keep horizontal surfaces out of the house as much as possible, because all of them collect stuff. Vertical storage like closets and armoires not so bad, plus you can close the doors! 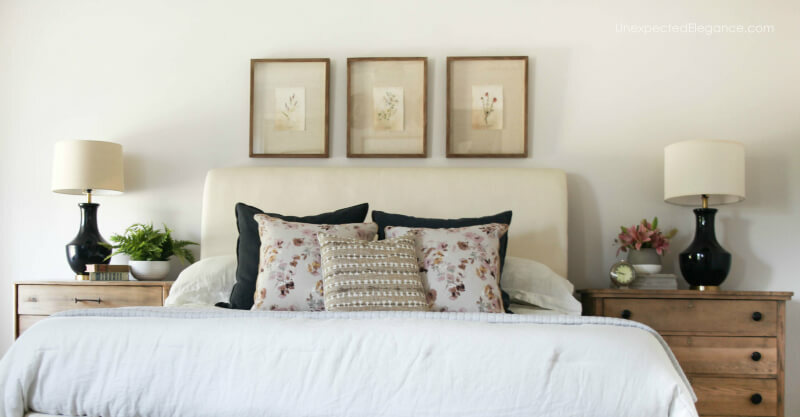 Your bedroom looks airy and bright and beautiful! Thank you!! Yes, I love how open it feels now and with no clutter!! I love both your dressers/nightstands. Where did you get them?